Scroll to take the route of the Torch Fest from the Headwaters to Mouth of the mighty Cuyahoga River! A Native American Water Blessing, performed by the Lake Erie Native American Council, will kick-off the Xtinguish Torch Fest. Ceremonial blessings and Native American drums shall honor the region for which the “Cuyahoga” (translated to be crooked River) was named by the indigenous. West Creek Conservancy, and the Xtinguish partnership, is also working with regional coordinators of the celebration of Juneteenth (a portmanteau of June Nineteenth) which is the celebration of Black emancipation—specifically in the state of Texas, on June 19, 1865. With this will also honor African Culture through libation ceremonies and drum circles. This ceremony will continue as a walk extending to the entire 100 mile stretch of the Cuyahoga River led by Sharon Day, Ojibwe water walker from Minnesota with the terminus being in Cleveland on June 22nd Hosted by the Cleveland Press Room and sponsored by the Cleveland Foundation’s Creative Fusion project. We, as coordinators of the festival series, wanted to keep this day independent from the press events and locality celebratory events to give the blessings the respect and honor they deserve. This may not be the flashiest or publicly high profile event of the weekend, but it is our opinion that it is the most important. The first Festival in the series is held in beautiful Downtown Kent! Beginning at 4:00pm the festival will include art installations, food trucks, and live music with musical acts such as Alex Bevan, the Chardon Polka Band, and more! A ‘Passing of the Torch’ ceremony will begin at 6:00pm in Riveredge Park and include community members, local officials, environmental groups, kayakers, and others. This ceremony will culminate with the unveiling and dedication of a commemorative relief as well as highlight the Cuyahoga River as a national Water Trail! Partners for this event include the Kent Parks & Recreation Department, Kent State University WICK Poetry Center, Hometown Bank, Main Street Kent, Kent Environmental Council, Portage County Soil & Water Conservation District, and others. 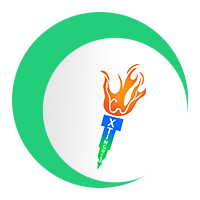 Join us on June 21, 2019 from 11a to 2p for the Xtinguish Torchfest event, which will be a family-friendly celebration of Cuyahoga Falls’ rich river heritage! A host of activities are planned for the event including a complimentary hot dog lunch, live band, games, and educational stations that will not disappoint. The event is free and will take place rain or shine at Water Works Park, 2025 Munroe Falls Avenue, Cuyahoga Fall, OH 44221. Highlighting another economic and ecological asset within Cuyahoga Falls, and in celebration of the River, the City of Cuyahoga Falls is also hosting an evening Xtinguish concert Downtown on the river at 6pm on June 21st, 2019! Come join the community as we come together in solidarity around our shared waterway. There will be food, libations, music and fun on the banks of the mighty Cuyahoga. 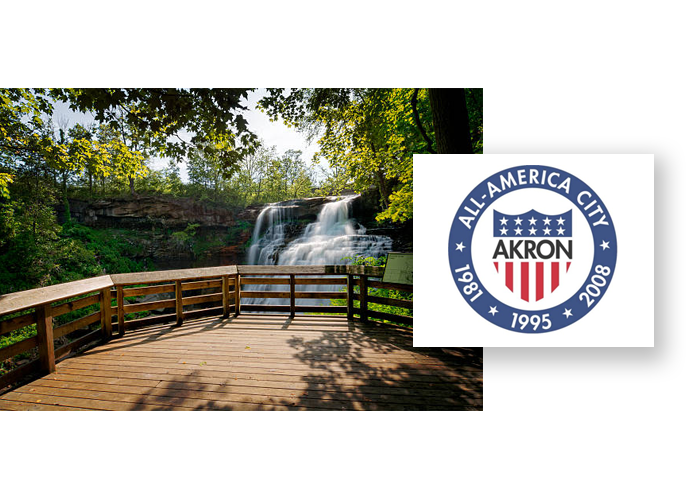 In partnership with Akron Waterways Renewed, the Torch Fest will make a stop at the Cascade Valley Metro Park in the Summit Metro Parks for the City of Akron’s annual celebration (formerly dubbed the Blue Heron Homecoming). The Festival Runs from 10am-3pm. The Torch will run through at approximately 1pm for a press event and ceremony. An exciting aspect to this festival is the “Eco’s Enviro Party” including larger hands-on exhibits. That will be a special section of the event where kids (and adults) will go through several different stations with hand-on activities to help them understand the importance of water quality and how we achieve it. The Torch Fest will be incorporated at 1pm on the main stage for the local press event, “passing of the torch ceremony”, and highlighting of the cultural significance of the space and how the river shaped the culture of Akron. The Torch Fest will be stopping at OUR National Park. The Cuyahoga Valley National Park. The Cuyahoga Valley resonates with stories of people, past and present. They tell of discovery, self-expression, hardship, gain, love, and humor. Some describe how people modified their environment to make a living or how American history unfolded here. Many stories were never recorded and have become lost or dimmed through time. Whenever possible, Cuyahoga Valley National Park tries to preserve stories or their remnants. This stop of the passing of the torch will be rich in history, present efforts regionally, and will be host to numerous dignitaries for a press event and an opportunity to hear views on the profile of CVNP as well as our Cuyahoga River. It will be stopping at CVNP at 4pm on June 21st 2019. 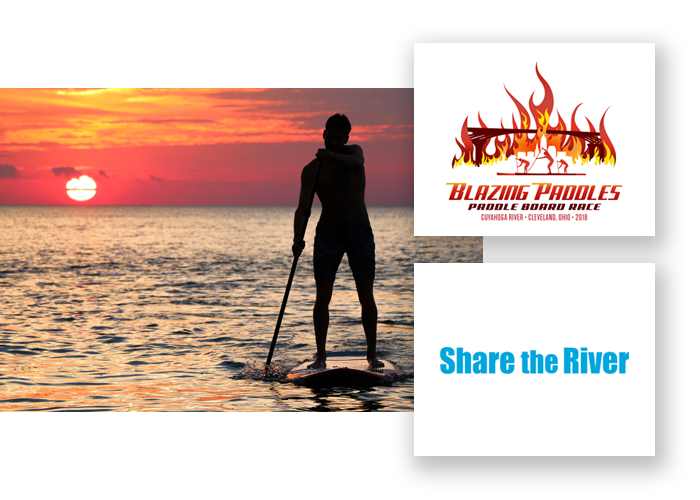 The Terminus of the Torch Fest “Passing of the Torch” festival series is incorporated into Share The River’s Blazing Paddles. Blazing Paddles is a standup paddleboard race, canoe & kayak celebration held on the Cuyahoga River, a historic body of water that’s risen like a phoenix from its ecological low-point in 1969. You’ll be on a curvy, 5.7-mile urban course that flows past a unique mix of riverfront sites where iconic pyramids of sand and stone stand in contrast to paved paths and green-spaces. The scenic course with sweeping views of downtown Cleveland will take you under 10 bridges spanning the river before you reach the turnaround point – THE location of the 1952 Cuyahoga River fire, the infamous image that’s often used as a visual stand-in for the much smaller June 22, 1969 fire. Blazing Paddles’ turnaround point at the former Jefferson St. bridge serves as a physical metaphor for the turnaround of the Cuyahoga River and the turnaround our nation’s relationship with its national resources. The ’69 fire helped launch America’s environmental movement. When you participate in Blazing Paddles on Cleveland’s historic river, you’ll be reminding the nation of the great things that happen when our natural resources are protected. Along with the terminus location of the Torch Fest, this stage will also mark the “official” dedication of the ODNR Designation of the Cuyahoga River Water Trail! Come be a part of this historic and transformative celebration as it unfolds. It will truly be a script for history to look back at as we showcase the regional assets of the 100 mile Cuyahoga River and all that our culture has to offer to the world.